"Hey! 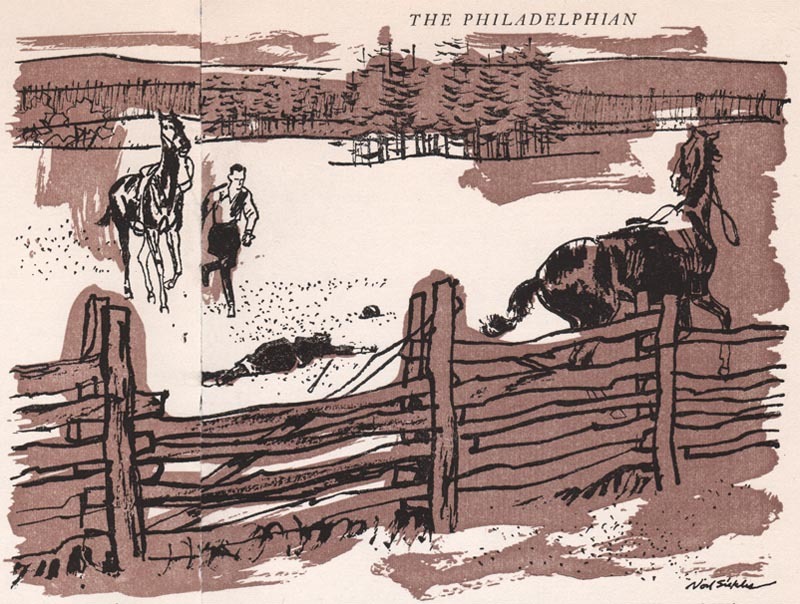 I got my hands on a Readers Digest Condensed Book from 1957 and dissected it- didn't notice these in your Flickr stream so I thought you'd like them." 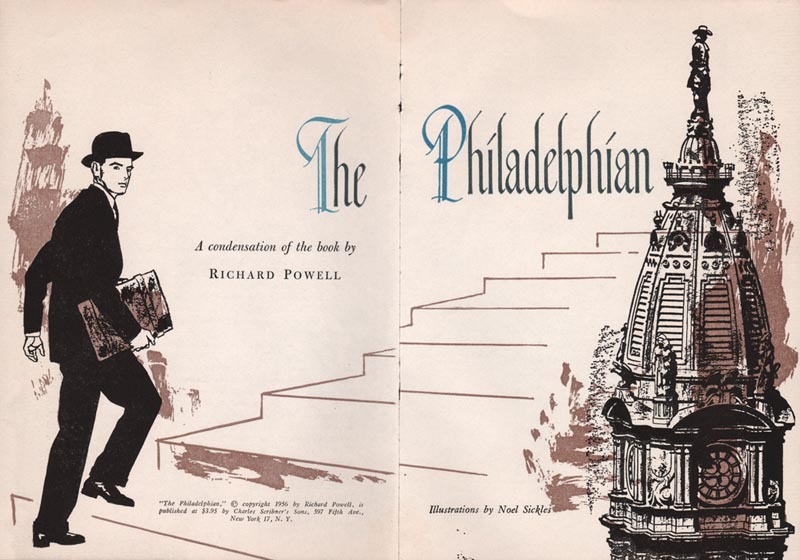 Wow, no kidding, would I ever like to have these gorgeous pieces by Noel Sickles, from a 1956 book called "The Philadelphian". Failing that, I'm grateful to Tonci for generously sharing these scans with us. There will be a second batch by Sickles tomorrow, then three groups by Austin Briggs to round out the week. So buckle up. This week's images will knock your socks off! Many thanks to Tonci Zonjic, who is an enviably talented young artist himself -- be sure to visit his blog and check out the remarkable range of styles and subject matter he is capable of. 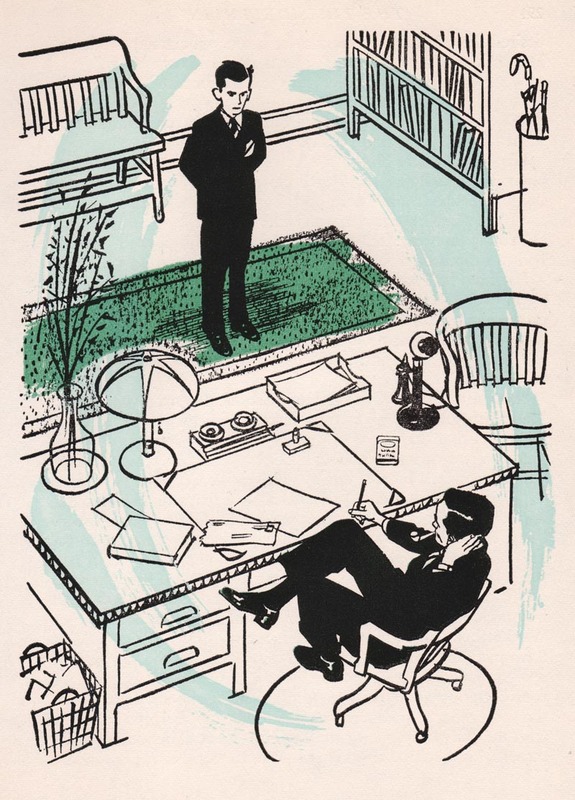 (Its no surprise that Tonci is a fan of the likes of Sickles, Briggs and Fawcett... the inspiration these masters provide to the observant illustrator are evident in his skillful renderings). *AND* if you could use a chuckle ( and who couldn't use a chuckle) drop by Leifdrawing101 for a new batch of cartoons by another upcoming young artist - Simon Peng!